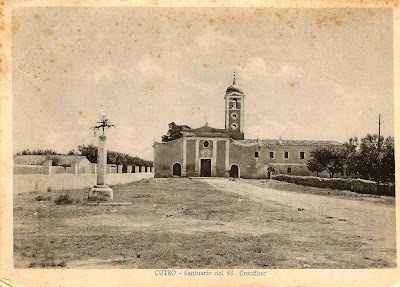 Siamo tutti i refliess dei nostro patrimonio, a brillare piu luminosa di altri. "We are all reflections of our heritage, some just shine more brightly than others." Thank you to all who have shared family stories with us. We would love to feature YOUR family pictures and stories here; our heritage is what we are all about! Please send them to susan@lucente.org. If you do not have the ability to email your photos, we can scan your hard-copies and give them back to you. "Grandfather Adolfo and Grandmother Casimira Bernacchi taken on their first wedding anniversary January 26,1885." 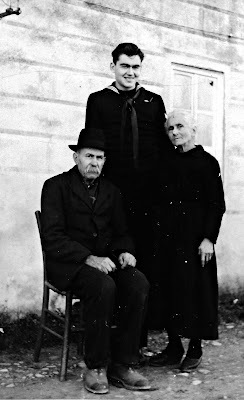 "This is a picture of me with my maternal GrandparentsPietro and Elvira Luciani taken on Christmas Day 1946 in Lammari, Lucca Italy. I was in the Navy and I had hitch-hiked across Italy to try and locate my family." 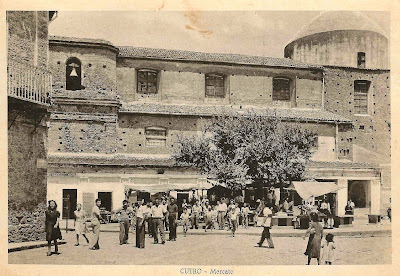 "This is a picture also taken on Christmas Day 1946 with some of my family. 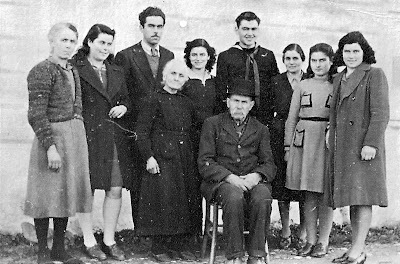 Left to Right: Aunt Renata Fanelli, cousin Lola Fanelli, cousin Loris Fanelli, Grandma Elvira Luciani, cousin Rina Lucchese, sitting Grandpa Pietro Luciani, Raymond Bernacchi, Aunt Rema Lucchese, cousin Anna Luciana, cousin Carla Fanelli." 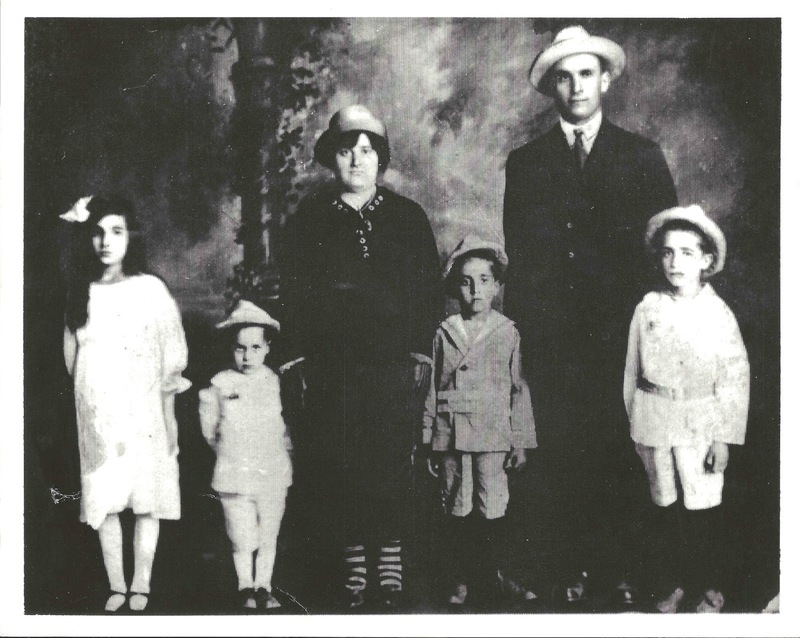 Mariotti family circa 1920 submitted by Pete Mariotti Vella, Nello, Santina, Isman, Pietro and my father Americo. Two additional children were born after this picture was taken, Olga and Dora. 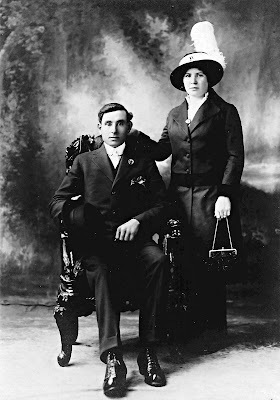 My grandparents came tothe United States in 1908 from Norcia, Perugia, Italy and settled in McDowell County, WV coal mining region. 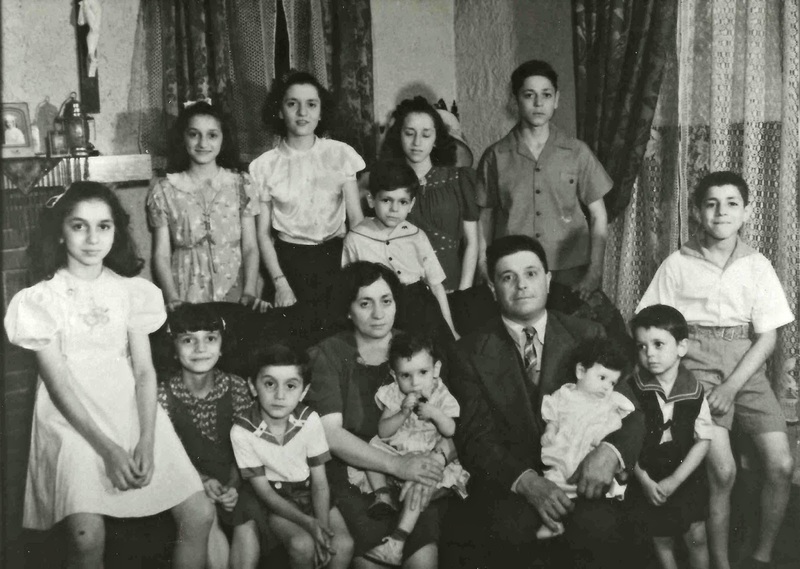 The family later relocated to Ellwood City, PA, about 40 miles northwest of Pittsburgh in the mid 1930's. Giacomo Piconi (my mother's father), Emilio (on Giacomo's lap), Giovanna (she used the name of Jean), Mary, Angelina (in back), Sabatino (born on a Saturday, standing in front of Angelina), my mother who used the name of Sara, Peurina (standing in back, she used the name Pearl), Sistina, standing in front of Peurina (the 6th daughter, she used the name Christine), Rutilia (my grandmother), Raymondo (on Rutilia's lap). Names were probably Americanized when the girls started school. One more child was born after the date of the picture, a girl who was named Alma. A 10th child, Angelo, the first born, died at 3 months. 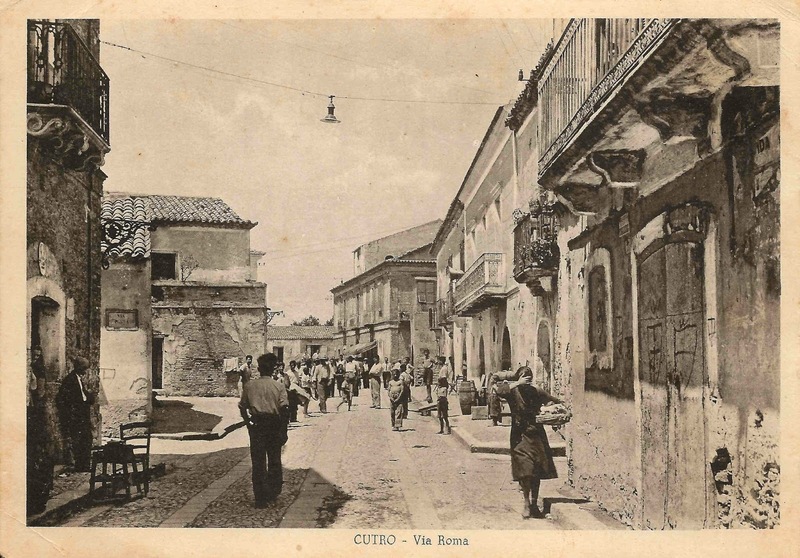 My grandparents originated from the town of Borgo Cereto, Providence of Di Spoleto, Perugia, Italy. My grandfather came to the United States in 1912 and returned to Italy in 1913 to marry my grandmother, Rutilia Benedetti. He returned to the United States and she followed at a later date coming to this country with her sister-in-law. They settled in Crumpler, WV (McDowell County), coal mining region of West Virginia. Descendants as of 2006 were 9 children, 24 grandchildren, 53 great grandchildren, 38 great-great grandchildren and 9 step great-great-great grandchildren. 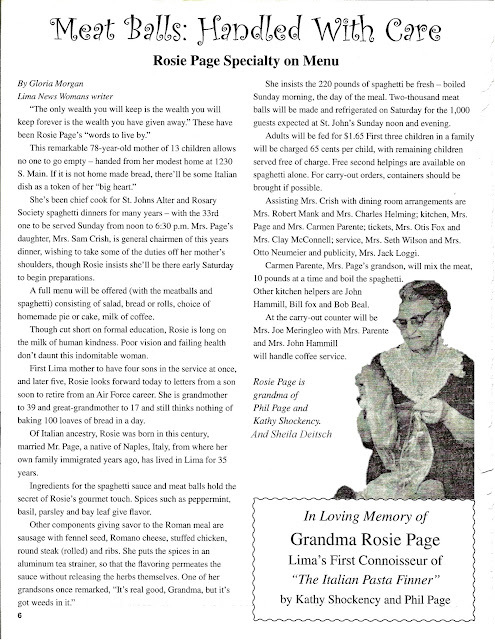 Family of Thomas Lucente. Grandparents, Salvatore and Immacolata Lucente and 12 of their 16 children. 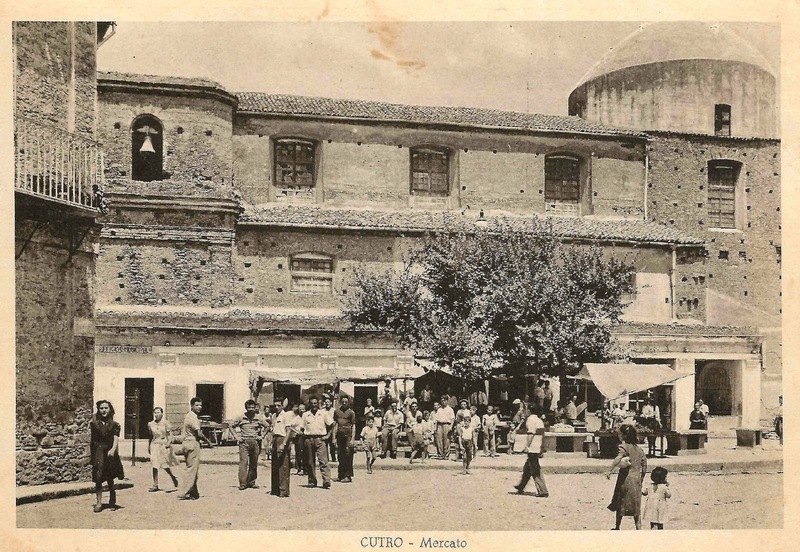 Cutro, Italy Where the Lucente family is from. This was submitted by Sheila Deitsch and was written several years ago about her grandmother, Rosie Page, who was cooking up pasta dinners long before us.